Hi lovelies! You may have noticed I've not been blogging so regularly the past few days and those of you who follow me on twitter and instagram will already know why! The past few days, I have been through the process of visiting, buying and bringing home the brand new love of my life, Belle! 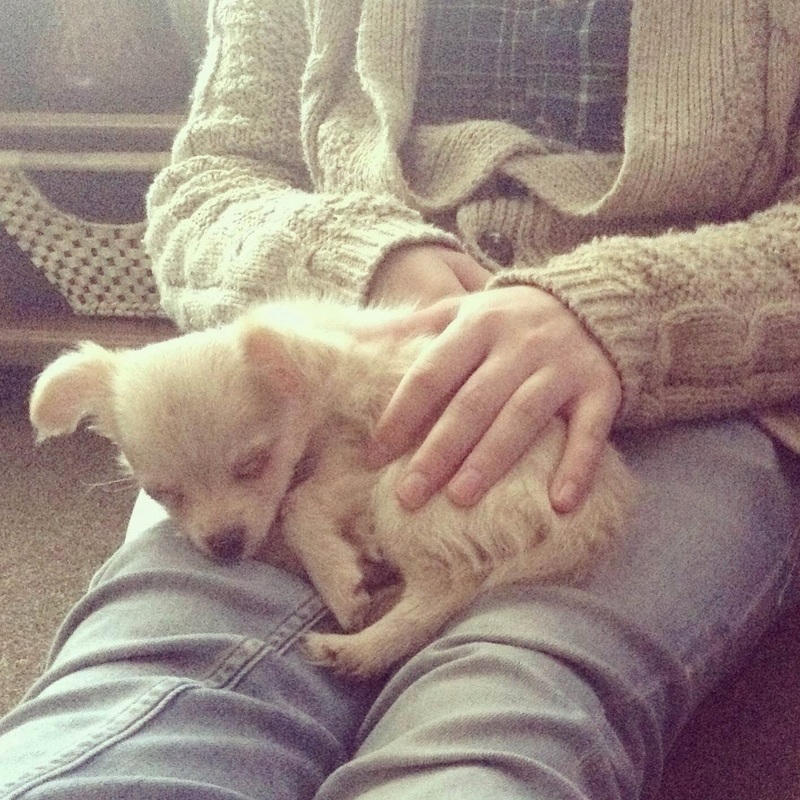 Belle is a sandy coloured Long Haired Chihuahua puppy and she is just beautiful. I've never actually owned a dog before, but I've always grown up around them in the family and have wanted one of my own for so long! We bought her home yesterday and so far, she's been settling in really well. For a chihuahua, (who have a reputation for being very yappy little dogs!) she's very quiet and so far hasn't barked at all. She's super playful but seems to love nothing more than curling up on our laps for a cuddle and a nap! She already seems to have gotten the idea of doing her 'business' on her puppy training papers, as she can't go outside just yet! Belle has already met lots of new friends and family and has been very sociable with everyone she meets, although she's already following me around everywhere I go! She's very happy to meet new human friends, but until she's had all her jabs she won't be meeting any furry friends just yet! As she's so tiny, you really have to watch your step when walking around, as she likes to be right by your feet at all times! I'm sure you'll be seeing much, much more of my little Princess popping up in posts from time to time (okay, all the time), I can feel myself becoming a crazy dog lady already! 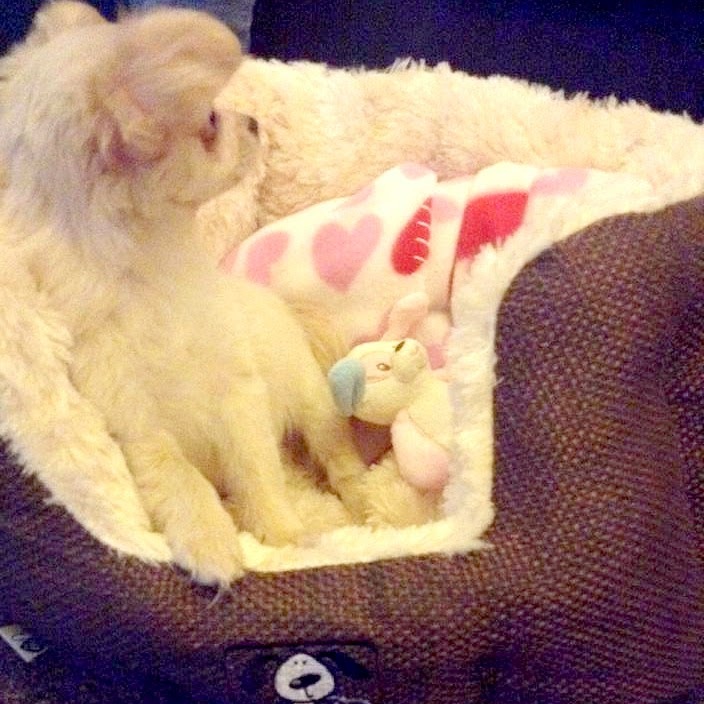 What do you think of little Belle? 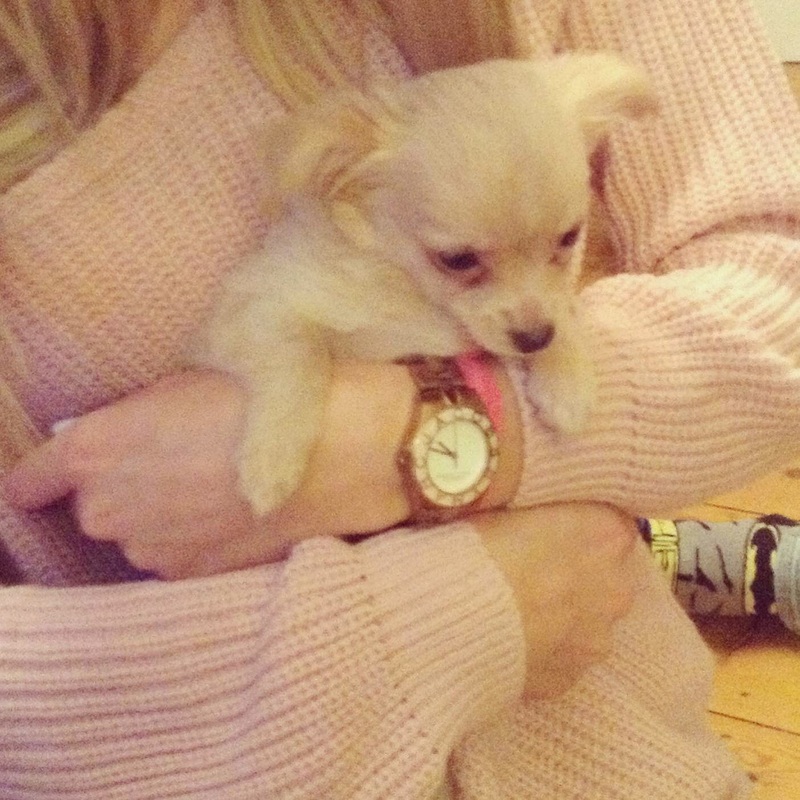 If you own a Chihuahua, any tips for training would be fab! She is adorable!! So sweet!! 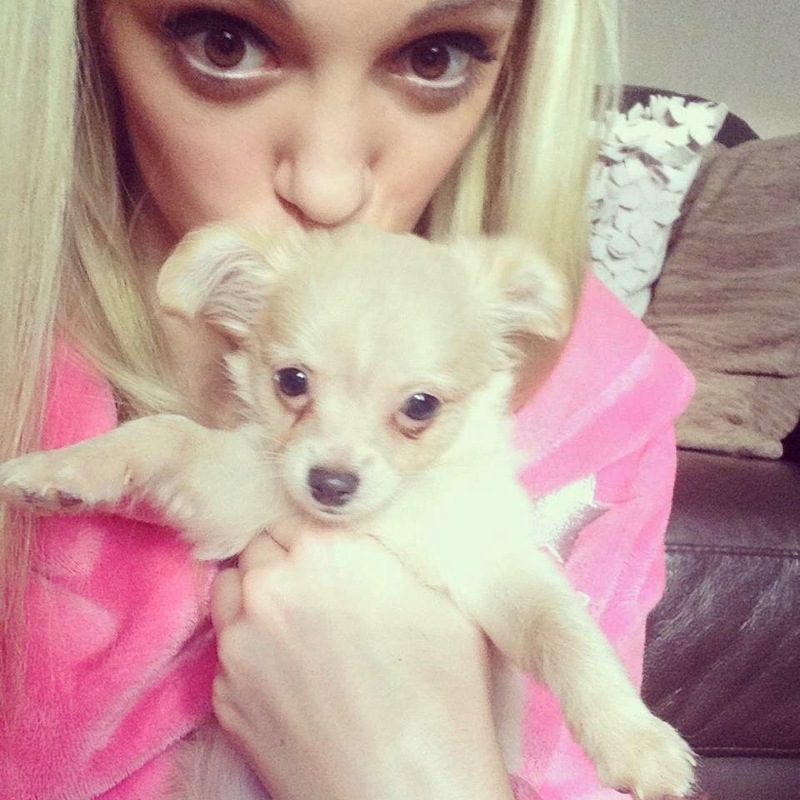 I have a little Chihuahua too, and she is actually the best thing ever. Fully fledged mad dog lady here! She is beautiful. Take good care of her!